Lap Dog Rescue of New Mexico (LDRNM) is a rescue organization whose mission is to recover, rehabilitate and permanently rehome New Mexico’s small companion dogs who find themselves living in shelters, unsuitable homes or navigating other harsh conditions. The stories are ongoing and the needs never end. Lap Dog Rescue of New Mexico was founded during the mid-1990’s by Marie Steele and Tamara Marquez-Nugent and granted its Federal 501C-3 status as a non-profit charitable organization in 2001. LDRNM is overseen today by Marie’s son, Brian Spence, President of LDRNM, and supported by dedicated volunteers from all over the state. Our small army of animal champions enables us to respond whenever the need arises and wherever it arises. When asked, LDRNM has stepped in to help with emergency “round ups” in hoarding situations or to ease the strain on overcrowded shelters. Since its inception, LDRNM has never deviated from its commitment to bring as many dogs as possible off the streets, away from danger and delivered safely into our network of caring foster homes where they can be temporarily 'rehomed' and socialized. Once in our system, rescues are placed in one of our foster homes where they will be accepted as “part of the family” and treated with the care and tenderness needed to restore their trust and confidence. Appointments are made by the foster for the dog to receive thorough medical checkups and any treatments required to restore them to good health and adoptable condition. After they are evaluated, treated and considered healthy enough, we carefully screen each adopting applicant – which includes meeting qualified applicants in their homes - to ensure they will provide a good, caring and stable home for their dog. And of course, we also consider whether the dog will be good match for their new family. 2014 - 2018: Albuquerque The Magazine named Lap Dog Rescue one of the Top 5 Best Places to Adopt a Dog. 2014 and 2018: Albuquerque Journal Readers’ Choice Awards named LDRNM one of New Mexico’s top non-profits. 2013 - 2018: Recognized as a Top Non-Profit by GreatNonProfits.org. 2018: Albuquerque Journal Readers’ Choice Awards named LDRNM first place in Pet Adoption, second place in Animal Rescue and third place in Up-and-Coming Nonprofit. 2018: Rio Rancho Observer Readers Choice 1st Place Award for Pet Adoptions. 2019: We are proud to announce that LDRNM has been selected as a PetSmart Charities Adoption Partner. PetSmart Charities is a nonprofit animal welfare organization with a mission to find lifelong, loving homes for all pets by supporting organizations such as LDRNM. We'll be holding several adoption events this year at the PetSmart store on Academy and Wyoming NE in Albuquerque. Feedback from our adopting families and friends. "This was a great experience. This group takes the time to find a good fit for both parties....Thank you Gloria for all of your patience in explaining everything and giving us many options on how to take good care of Pancho Villa. He is such a sweetheart! :D"
"Lap Dog Rescue has gone above and beyond and came all the way to Katy, Tx after hurricane Harvey and transported dogs that were misplaced in the hurricane to Austin, Tx so they could go be fostered there! Great people willing to be involved! Thank you Lap Dog Rescue!" "My non-profit choice, passionate, for the love of the little ones. I adopted my fur baby Coconut we love her, she was a perfect addition to our little family. Foster mom knew she was a perfect fit." "Just adopted my dog Paco from here, overall great people, We love our new dog, and will be adopting again from them soon." "Great people with a no nonsense approach to getting the best match for both dog and owner." "Just over a year ago, we adopted two little girls, Jessie and Poppy, from Lap Dog Rescue of New Mexico. The process was relatively quick and easy (they brought the dogs by our house to meet our other dog) and they have been a wonderful addition to our family!" "An absolutely wonderful group of dog loving people. I have two pups from this rescue. I can't say enough about how dedicated they are." "Found my sweet pug through LapDog...they do so much to help these dogs find homes, and to help local shelters in need. Awesome group of people and fosters!" "I got my pug from this group. They are very successful in finding homes for the dogs, and work tirelessly on their behalf. Great group of people!" 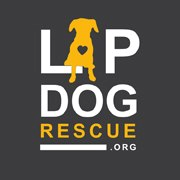 "Lap Dog Rescue is an incredibly well-organized, responsive and dedicated non-profit, devoted to matching the right dogs with the right owners. They do home visits before adopting a dog out. The leaders have HUGE hearts, a great cadre of volunteers, and a well-oiled system. They save literally 100s of dogs a year from high-kill shelters."